Activities begin to repeat in Bungie’s online shooter. The wait for Destiny’s The Taken King DLC continues but it feels all the more agonizing with each Weekly Reset. That’s because many of the weekly activities have been almost the same for several weeks in running and there really isn’t much variety to expect at this point. Take the Prison of Elders for instance which has The Broken Legion at level 32, Urrox’s Grudge at level 34 and Skolas’s Revenge at level 35 with Brawler and Juggler for the battle with the boss himself. The new Nightfall isn’t all that new either. It’s the Shadow Thief again with Epic, Juggler, Arc Burn, Nightfall and Brawler modifiers active. Weapons like Fatebringer and Fang of Ir Yut will see you through, though a Striker Titan couldn’t hurt. 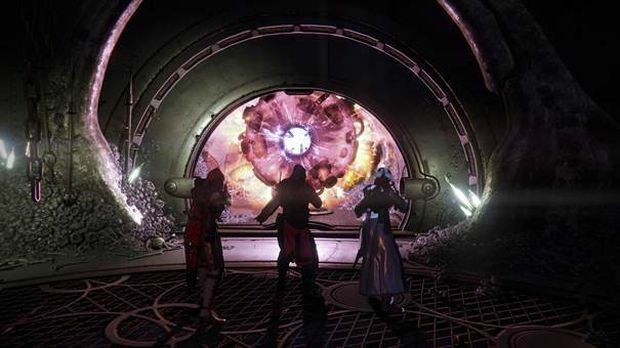 The Weekly Heroic is Winter’s Run with Heroic and Juggler modifiers. Head here for the full breakdown on enemy waves and House of Judgment inventory for this week. Or you can wait for The Taken King which is out on September 15th for Xbox One, Xbox 360, PS3 and PS4.